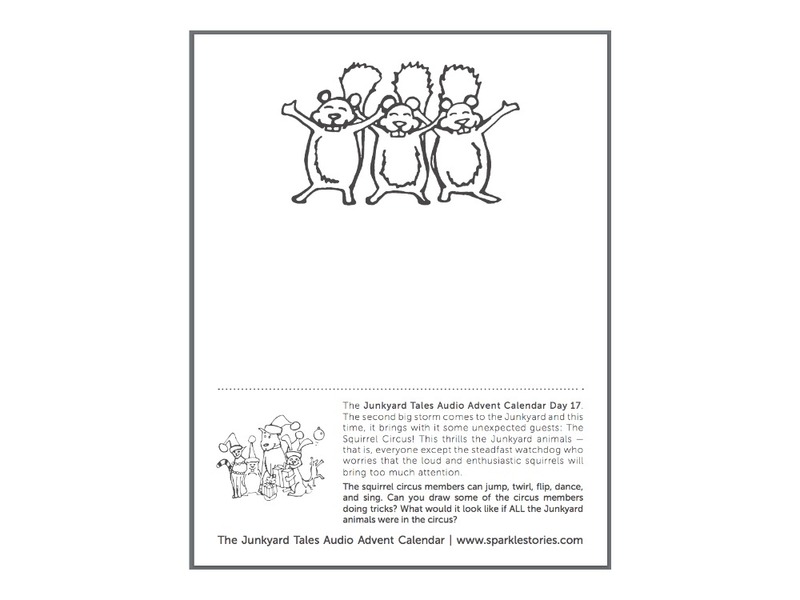 The Junkyard Tales Audio Advent Calendar Day 17. The second big storm comes to the Junkyard and this time, it brings with it some unexpected guests: The Squirrel Circus! This thrills the Junkyard animals — that is, everyone except the steadfast watchdog who worries that the loud and enthusiastic squirrels will bring too much attention. The squirrel circus members can jump, twirl, flip, dance, and sing. Can you draw some of the circus members doing tricks? What would it look like if ALL the Junkyard animals were in the circus?